PARIS -- French passenger car registrations rose 7.5 percent to 211,264 last month, the CCFA industry association said in a statement today. The increase completed an 8.2 percent first-quarter expansion to 516,392 - a strong start to a year in which Renault and others have predicted weaker growth of around 2 percent for the full 12 months. Renault Group posted a 12 percent sales increase for March, with its namesake brand and no-frills Dacia badge both gaining market share on the strength of new and revamped models. 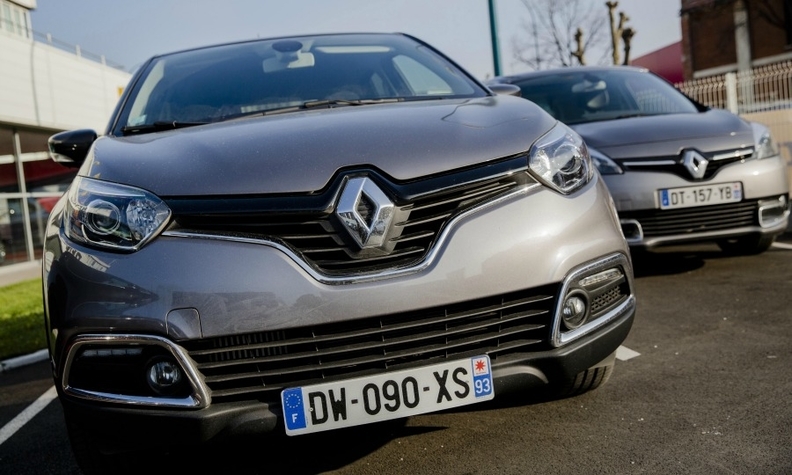 Renault brand sales were up 11 percent while Dacia's volume increased by 20 percent. Domestic rival PSA/Peugeot-Citroen fared less well, with a March gain of 2.8 percent as both of its brands trailed the market last month and for the quarter. Volkswagen brand passenger car sales rose at half the pace of the market at 3.2 percent in March but VW Group sales were up 6.6 percent boosted by 12.5 percent growth at Audi. First-quarter group sales rose 8.7 percent. Opel sales jumped almost 19 percent in March and 21 percent in the first quarter on strong demand for recent Opel models including the Mokka small SUV. Among other winners were Fiat with a 15 percent gain in March and Volvo, whose sales rose by 30 percent. • Click here to download PDF for French sales for March by automaker and brand. In a note to investors, analysts Evercore ISI calculated the March annualized rate at 2.2 million - "a healthy number and consistent with the trend of the last four months." Evercore forecast 3 percent growth for the full year. French delivery van sales rose 4.9 percent last month and 9.4 percent in the quarter, the CCFA said, taking total light vehicle sales growth for the respective periods to 7.1 percent and 8.4 percent.